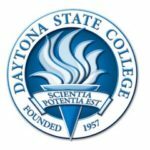 Daytona State College is looking for a few good part-time instructors. The college will hold two open interview sessions, seeking to fill positions ranging from Journalism, Biology, Accounting and Electronics to Phlebotomy, Dental Assisting, Computer Science, Engineering and more. A full list of available positions can be found here.